IMPORTANT NOTICE: THE SEASHELL CHARGER SETS HAVE RECENTLY SOLD OUT. PLEASE CONTACT SHOP OWNER FOR *CUSTOM ORDER. Time to get charged up about your place settings! 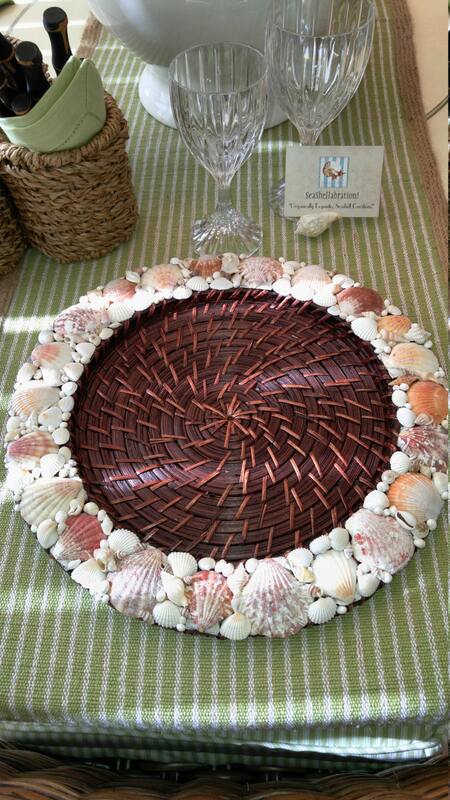 These handmade, seashell chargers are exquisite! Each set includes 4, handmade, 13.5" rattan based, seashell rimmed chargers; seashells that were personally hand selected from a private, barrier island in southwest Florida. The outer rims are meticulously and completely decorated with shells; leaving the 9.5" base open for a standard dinner plate of your choice to rest. Each set contains 4 chargers; no two alike yet expertly coordinated. The shell choices are mainly neutral, allowing the hostess endless design options and color coordinating design palettes. A must have for coastal classic, contemporary or shabby chic design objectives. Simple addition of an evergreen twig or holiday themed napkin can turn your coastal tablescape into a holiday masterpiece! 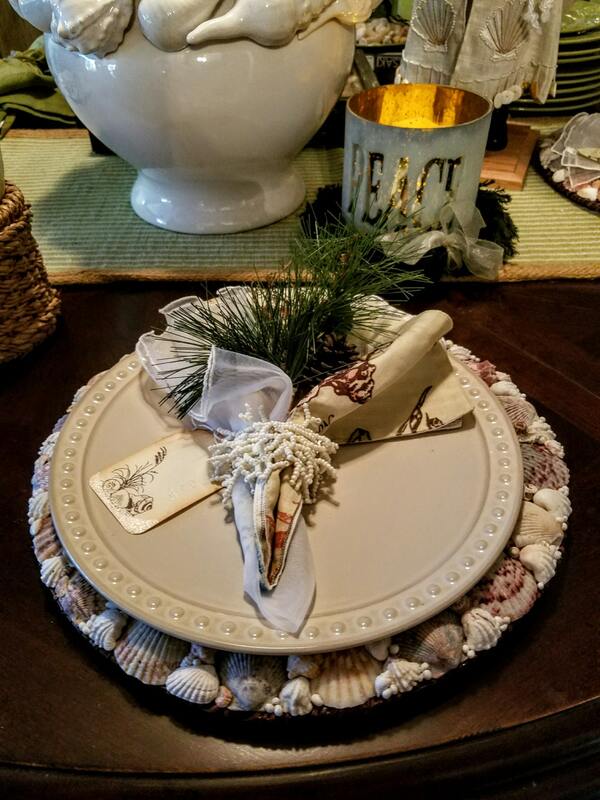 These seashell chargers are the ultimate gift for that very special, discerning coastal/beach house themed, decor aficionado! Please note the shells and chargers will be treated with a clear, acrylic finish for easy cleanup of potential spills. 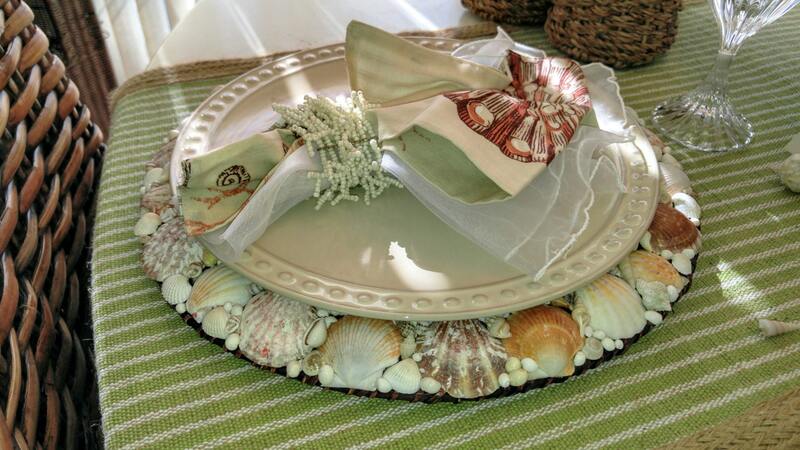 These seashell chargers are a must have for discerning hostesses from coast to coast! Sorry, plate, napkin ring and napkins not included. Not dishwasher safe; wipe clean with a damp cloth. *These chargers sell out quickly! Please allow one week for custom order completion. 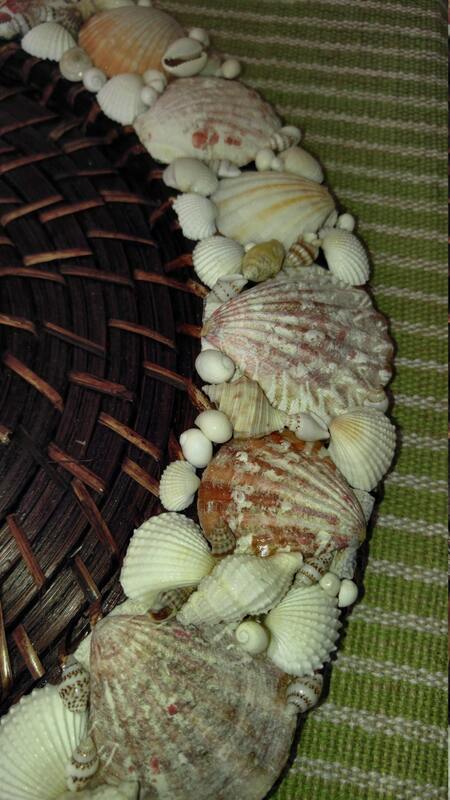 Advantage to custom order, you can choose seashell color scheme to best suit your table scape. For example, chargers consisting of mainly monochromatic seashells work well with plates or napkins with designs or patterns. Conversely, chargers consisting of brightly colored or vibrant seashells play well with simple, solid colored plates. 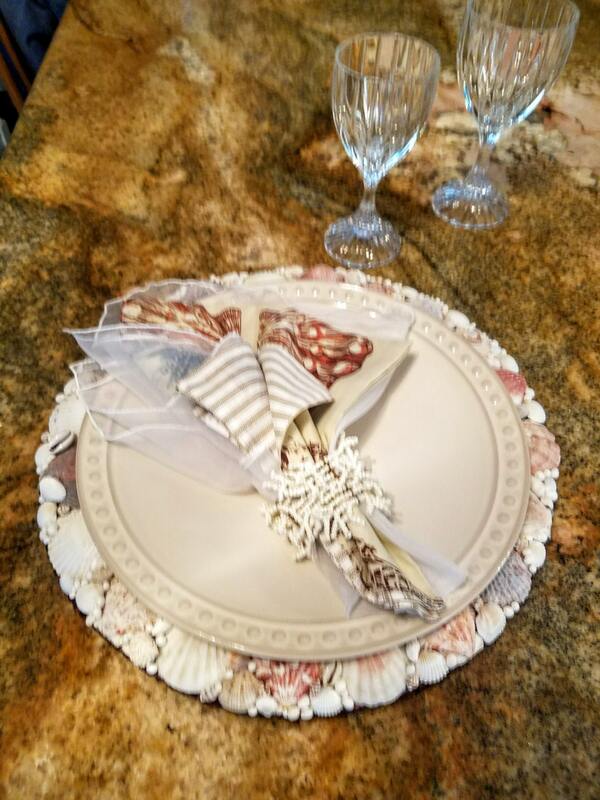 My client absolutely loved these seashell chargers for her coastal dining theme! Came perfectly packaged!